Britain’s railway network uses the international standard gauge of 4 ft 8 1⁄2 in (1,435 mm) but the loading gauge is narrower and lower than in the rest of Europe. This is one of the main reasons why the country has traditionally used its own distinctive model railway scales which can rarely be found outside the British Isles. In the chart below are the most common modelling scale found in Britain. Live steam 01:08 184 mm or 190.5 mm Ridable, outdoor gauge, named according to the gauge in inches, and scale in inches per foot, for example7 1⁄4 in (184 mm) gauge, 1.5 inch scale. The gauge is 7 1⁄2 in (190.5 mm) in the western parts of US and Canada, where the scale sometimes is 1.6 inch for diesel-type models. Private and public (club) tracks exist in many areas, among them the world’s largest model railroad, Train Mountain Railroad, with over 25 miles (40 km) of tracks. 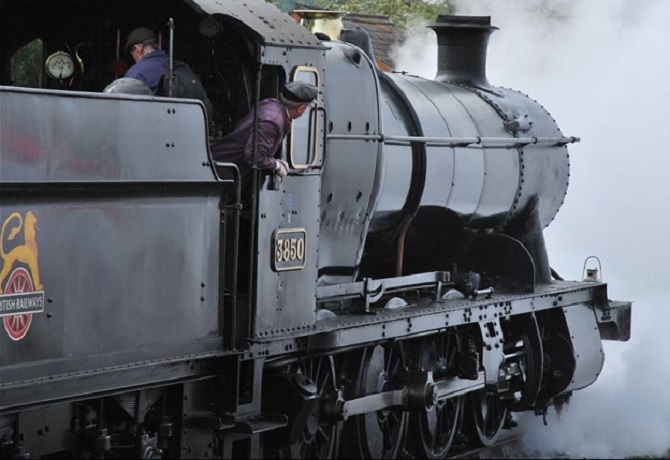 Powerful locomotives can pull 50 or more passengers. Narrow gauge models in this gauge can be as large as 1:3 scale. Live steam 01:12 127 mm or 121 mm Ridable, outdoor gauge. The gauge is 5 in (127 mm) in Europe, but 4 3⁄4 in (121 mm) in US and Canada. For standard gauge prototypes at 5 inch, the scale is 1-1/16 inch per foot or approximately 1:11.3. Together with the 1:8 scale above, this is a popular scale for backyard railroads. Pulling power is enough for more than a dozen passengers on level tracks. SE scale7/8 inch 01:13.7 45 mm Models of 2 ft (610 mm) gauge prototypes using 45 mm (1.772 in) track. Used by folks modelling the Maine 2-footers, but increasingly also by anyone interested in very large scale models of industrial prototypes, including the many Welsh slate mines and other European operations. Although this is mostly a scratch-builders scale, there is an increasing supply of kits, parts and figures. Some modelers using 7/8 scale operate on 32 mm(1.26 in) track, used to replicate 18 in (457 mm) gauge industrial lines found in Great Britain and other countries. Live steam 01:16 89 mm Ridable, outdoor gauge. The gauge is 3 1⁄2 in (89 mm) the world over. Originally defined to be 89 mm 3 gauge in Europe. 3 gauge 01:22.6 63.5 mm One of the original model railroad scales standardized in 1909, a minority interest, which is undergoing a revival in the UK and in Germany (where it is known as Spur II). 64 mm (2 1⁄2 in) gauge 3 track is commercially available, as are a growing number of locomotive and rolling stock kits. The European standard of 1:22.5 scale trains on 45 mm (1.772 in) track is called IIm scale, as per European narrow gauge naming conventions or G scale, its popular name. Live steam 01:24 63 mm At 2 1⁄2 in (64 mm), this is the smallest of the “ridable” gauges. Only one or two passengers can be pulled. This was one of the first popular live steam gauges, developed in England in the early 1900s, though now less popular than the larger gauges it still has a following. A model can normally be lifted by one person. Wide gauge 1:26.59 or 1:28.25 53.975 mm Called Standard Gauge by Lionel, who trademarked the name. Other manufacturers used the same gauge and called it Wide Gauge. Not widely produced after 1940. Gauge No. 2 using track of gauge 2 in (50.8 mm) was one of the standard model gauges in 1909. 16 mm scale 01:19.1 32 mm This scale was first developed in the UK in the 1950s to depict 2 ft (610 mm) narrow gauge prototypes using32 mm (1.26 in) or “O gauge” track and wheels, but really took off in popularity during the 1960s and 70s. Originally, it was mostly used as an indoor modelling scale, but has also developed as a popular scale for garden railways of narrow gauge prototypes. Some manufacturers that produce models depicting North American 2 ft (610 mm) narrow gauge prototypes have also adopted this scale for use alongside the near-compatible Fn3 (15 mm or 1: 20.32) scale on 45 mm (1.772 in) track already popular in the US. Both electric, battery and live steam propulsion is used to power model locomotives in this scale, and is supported by a growing range of commercially available ready-to-run models, kits and parts. Fn3 scale 01:20.3 45 mm Similar to G Scale below, this scale also uses 45 mm (1.772 in) gauge track, and is used for both indoor andgarden railways of narrow gauge prototypes. The scale of 1:20.3 was developed to depict North American 3 ft(914 mm) gauge trains in exact proportion to their correct track gauge whilst using 45 mm (1.772 in) gauge model track. It equates to 15 mm = 1 foot (1 : 20.32) scale. 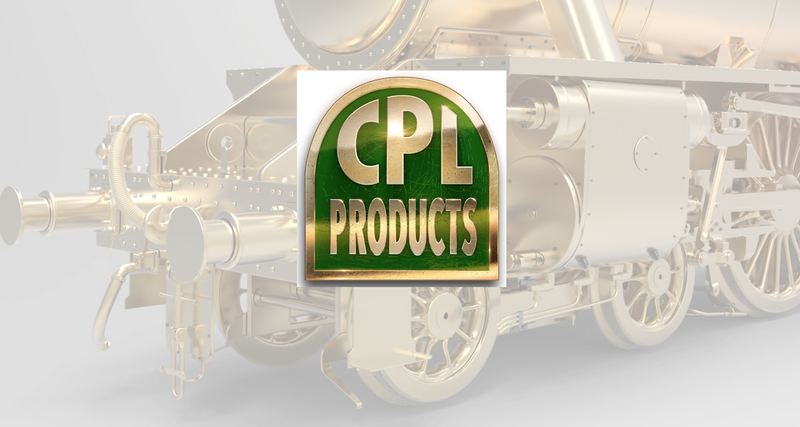 Increasingly popular for both electric and live steampropulsion of model locomotives, with an ever growing range of commercially available ready-to-run models, kits and parts. Fn3 scale, together with G scale and ½ inch (1:24) scale, are commonly and collectively referred to as “Large Scale” by many modellers. 2′ gauge, many modelers use 32 mm track gauge for the convenience of access to O-scale mechanisms, trucks, and track elements. G scale various 45 mm (Originally from the German groß (meaning “big”), now also G as in Garden) G is generally used for garden railways of narrow gauge prototypes, and uses the same track gauge as 1 gauge, below. The scale ranges approximately from 1/19 to 1/29, according to the size and gauge of the prototype. Gn15 various 16.5 mm Evolved around the Millennium (possibly earlier), much in the same manner than On30, HOn30, and Nn3 have, which is the desire to model in a larger scale, but using the track gauge, mechanisms and wheelsets of a smaller scale; in this case HO/OO. If Gn15 did not start in the U.K., it certainly has the largest following there. Some model “estate railways”, inspired by the Eaton Hall Railway built at the end of the 19th century by Sir Arthur Haywood, while others simply desired a means of modeling in something close to half-inch scale in a small space. This scale is closely aligned with the “micro layout” movement. IIm scale 01:22.5 45 mm Similar to G scale above, this scale also uses 45 mm (1.772 in) gauge track, and is used for both indoor andgarden railways of narrow gauge prototypes. It depicts 1 metre gauge trains in exact proportion to their correct track gauge. ½ inch scale 01:24 45 mm Similar to G Scale above, this scale also runs on 45 mm (1.772 in) gauge track, and is generally used for both indoor and garden railways of narrow gauge prototypes. The scale of 1:24 in combination with 45 mm (1.772 in) track is an attempt to model North American and UK 3 ft (914 mm) narrow gauge or 3 ft 6 in (1,067 mm) gauge trains in better proportion to the rails they run on. 2 gauge 01:29 50.4/45 mm The dominant scale used in the United States for models of “standard gauge” trains running on 45 mm(1.772 in) track, even though 1:32 is more prototypically correct. 1:29 represents standard gauge using 2 in(50.8 mm) gauge track, the original gauge 2. This fell into disuse as gauge 1 at 1.75 inch was very close. Some manufacturers kept the scale for the models but running them on slightly narrow gauge track. 1 gauge 01:32 45 mm This large scale, once rarely seen indoors in modern use but frequently used for modelling standard gaugetrains as garden railways, is making a come-back. The Japanese firm of Aster Hobby offers ready-to-run gas-fired livesteam models. Accucraft Trains <http://accucraft.com> also offer finely crafted livesteam models in this scale. Gauge 1 has seen something of a remarkable revival in recent years after decades of near extinction commercially, with a growing number of smaller UK manufacturers offering electrically powered and live steamlocomotives and rolling stock in ready to run, parts and kit form. Some manufacturers offer so-calledGauge 1 items in 1:30.48 scale (10 mm = 1 foot) that also run on 45 mm (1.772 in) gauge track. Gauge 1 also has its own international association. O scale 1:43.5 (Great Britainand France), 32 mm Name originally was ‘0’ (zero), ‘1’ through ‘6’ were already in use for larger scales. In the US, this is frequently considered a ‘toy train’ scale rather than for scale modellers. However, though toy trains use this gauge, they are often nowhere near scale. Scale modellers have begun to use this gauge for their scale models, resulting in a two separate groups of modellers within this “scale”: “hi-railers”, those who run toy train equipment on oversized track and scale modellers, who run scale equipment on scale track. A limited few have been able to combine both. Nowadays, even high-railers have the option of extremely precise scale models and track. Lionel, LLC, MTH Electric Trains, and Atlas O are major manufacturers of this scale. The best-known brand in Great Britain was that of Bassett-Lowke until the firm first closed in 1965. While in Russia and former Soviet countries is used gauge of 1,520 mm (4 ft 11 27⁄32 in), but for the models, the norms of standards NEM. Therefore, the gauge for the models is 32 mm, rather than about 34. In this model, the rolling stock are made in scale 1:45. ScaleSeven 01:43.5 33 mm The ScaleSeven Group defined more scale measures more strictly (e.g., the model gauge of 33 mm is fixed). Apart from standard gauge, it also defined Irish and Brunel gauges to this scale. Proto:48 01:48 29.90 mm These are to the same scale as US O gauge but are accurate scale models in all dimensions including track and wheels. On2 01:48 12.7 mm O-scale models of 2 ft narrow gauge prototypes running on 1/2in (12.7mm) gauge track. On30 01:48 16.5 mm Narrow gauge O-scale models running on HO gauge track. This scale was initially created by American “kit-bashing” modelers desiring large scale narrow gauge at low cost, at a time when the existing On3 market was dominated by expensive brass models. They put small O-scale superstructures on HO-scale mechanisms and trucks, but when the large company Bachmann issued train sets – originally intended to run around Christmas trees – On30 really took off. On3 01:48 19 mm O-scale models of 3 ft narrow gauge prototypes running on 3/4in (19mm) gauge track. 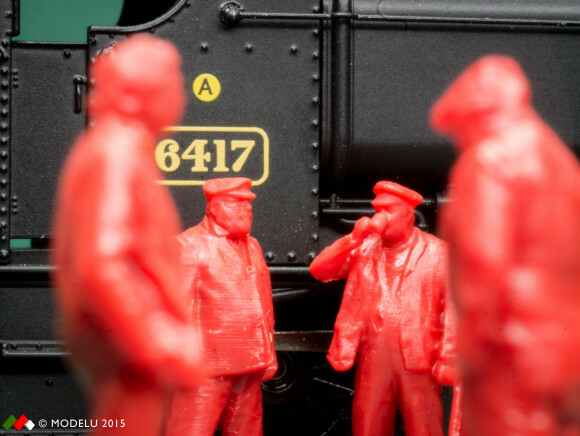 ScaleSeven 01:43.5 33 mm Exact scale version of British O gauge supported by a dedicated UK based society. O16.5 01:43.5 16.5 mm British narrow gauge running on HO gauge track. 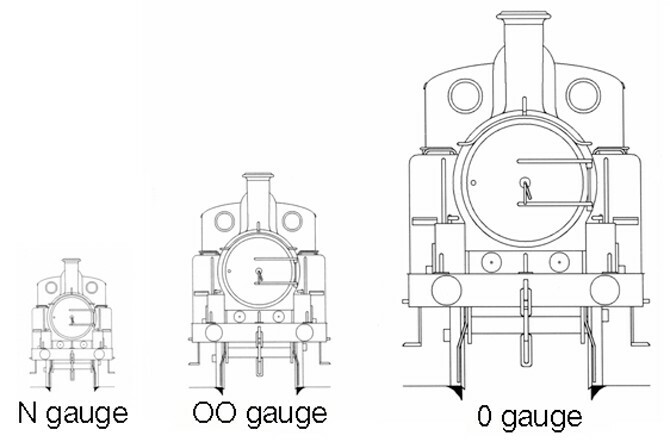 Prototypes of many diverse gauges are depicted in this scale, as well as fictitious lines. Even two foot lines – particularly slate – are represented, although serious modelers with this interest generally prefer O-14. 0e 01:45 16.5 mm Continental European (mostly German and Austrian) narrow gauge running on HO gauge track. Fleischmann produced the Magic Train line, intended for the toy market, but also adopted by serious modelers, particularly when supplemented with protypical details – or “bashed” to be closer to the prototype. A number of smaller manufacturers produce a wide range of elements, including the high-end Henke, offering exquisitely accurate models for a handsome price. 0e has many active participants in Germany, with frequent Fremo modular meets on weekends. O14 01:43.5 14 mm Accurate modelling of 2 ft narrow gauge in 7mm:ft/1:43.5 scale supported by an informal web based society. O-12 01:43.5 12 mm British narrow gauge representing prototypes of narrower than 2-foot gauge, running on TT gauge track. Z0 scale 0.083333333 24 mm Got attention in Germany around 1950 as an attempt of a scale between O and HO. Z0 means “Zwischen-Null” (between O). S scale 0.086111111 22.42 mm Originally called “H-1” because it was half the size of Gauge 1 (1:32), the “S” name is derived from ‘S’ixty-fourth. In the US, American Flyer toy trains used this gauge, but it is also used for more precise modelling and supported by several manufacturers. 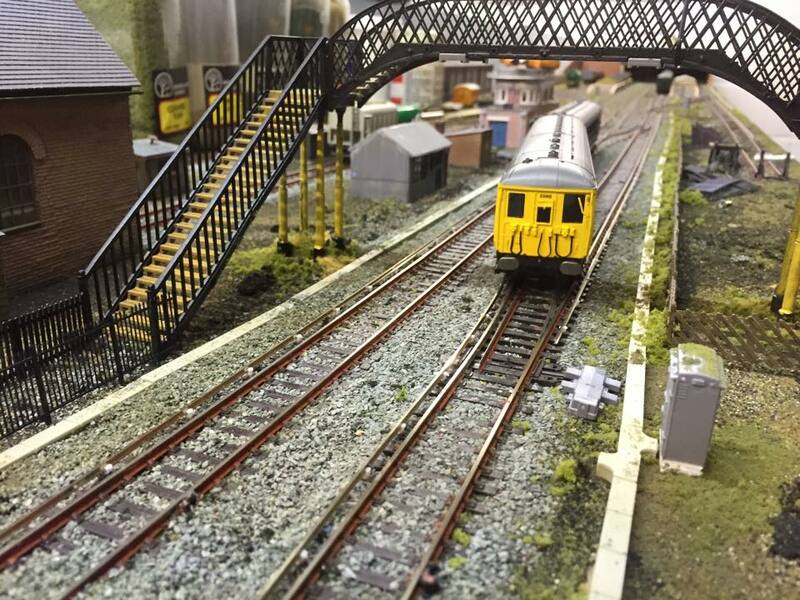 In the UK, S scale modelling is largely the preserve of a dedicated few hand-building models or using a small number of available kits and parts, mostly depicting standard gauge prototypes but also narrow and broad gauge subjects too. 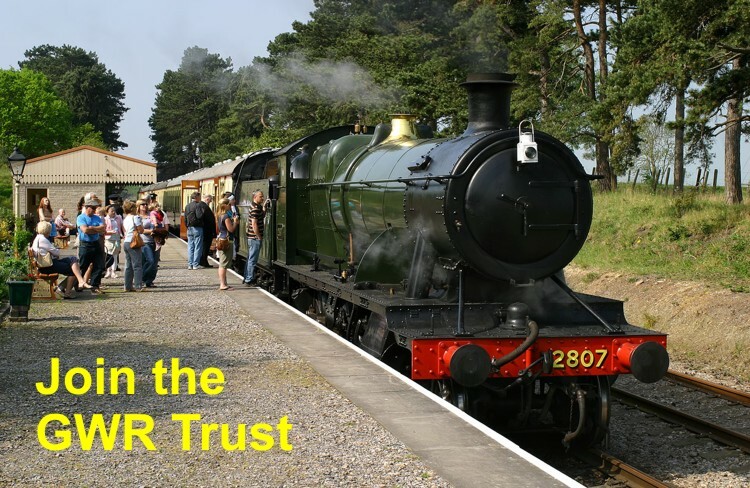 The UK-based S Scale Model Railway Society is the oldest scale support society in the world, being first established in 1946. In the United States, S scale has a small but growing following in the modelling of standard gauge railroads, especially those of the 1940s and 1950s era, a focus that is supported by S Helper Service and American Models, among others. This scale is also popular in North America to depict 3 ft (914 mm) narrow gauge prototypes (using dedicated 14.28 mm(0.562 in) gauge track and known as “Sn3”), and elsewhere to depict the 3 ft 6 in (1,067 mm) narrow gauge railways (using H0 scale 16.5 mm/​0.65 in gauge track and known as “Sn3½”) of South Africa, Australia and New Zealand. OO gauge 02:16.2 16.5 mm This scale is today the most popular modelling scale in the UK, although it once had some following in the US (on 19 mm/​0.748 in gauge track) before WW2. 00 or “Double-Oh”, together with EM gauge and P4 standards are all to 4 mm scale as the scale is the same, but the track standards are incompatible. 00 uses the same track as HO (16.5 mm/​0.65 in gauge), which is not correct for this slightly larger scale, but it is the most common British standard for ready-to-run trains. In Britain there exists The Double 0 Gauge Association to promote this scale. OO9 02:16.2 9 mm Narrow gauge modelling of approximately 2 ft (610 mm) or 2 ft 6 in (762 mm) prototypes on 9mm gauge track. 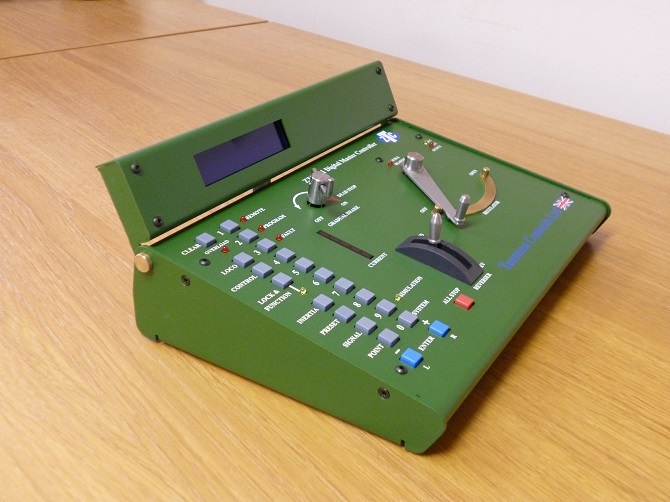 It supported by a dedicated society and has a flourishing supply of kits and parts from many small UK-based suppliers. 12 02:16.2 12 mm Narrow gauge modelling of 3 ft (914 mm) prototypes on 12mm gauge track. EM gauge 02:16.2 18.2 mm EM gauge was an earlier attempt in the 1950s to improve the inaccuracies of OO gauge, with wider, more accurate track at 18 mm (0.709 in) between the rails, but still narrower than the correct gauge. The gauge was later widened to 18.2 mm (0.717 in). The UK-based EM Gauge Society exists to supports modellers of these standards. P4 gauge 02:16.2 18.83 mm P4 was created in the 1960s as the most accurate possible standards for modelling in 4 mm scale. Supported by the UK based Scalefour Society. HO scale 0.102083333 16.5 mm This is the most popular model railway scale in the world, although not in the United Kingdom. The name is derived from “Half 0” and the European (NEM) standards define the scale as exactly 1:87, the US NMRA as 1:87.1 (3.5 mm : 1 ft). There is a vast selection of ready-to-run, kits and parts for locomotives, rolling stock and scenic items from many manufacturers depicting trains from all around the world. During the 1970s, companies such as Tyco Toys and Life-Like made cheap, oversized, underdetailed toy trains that ran on HO scale track, and were sold in packages called train sets, and were built only for speed, much like a slot car set. This term eventually carried over to the model railroad industry. Proto:87 0.102083333 16.5 mm An alternative finescale standard for HO, with wheels and track that correspond with the prototype’s, taking its lead from the establishment of P4 standards in the UK. HOn3-1/2 scale, 0.102083333 12.00 mm H0 scale using 12 mm (0.472 in) gauge track to represent 3 ft 6 in (1,067 mm) used as “standard” gauge in many African countries, New Zealand, Queensland, Japan, etc. European H0m (‘metre gauge’) models represent prototype gauges ranging between 850 and 1,250 mm (33.5 and 49.2 in). HOn3 0.102083333 10.5 mm H0 scale using 3-scale-foot narrow-gauge track. HOe scale 0.102083333 9 mm European HO scale narrow gauge models using 9 mm (0.354 in) (the same as N scale) track to represent prototypes with gauge between 650 and 850 mm (25.6 and 33.5 in), particularly 750 mm (2 ft 5 1⁄2 in) and760 mm (2 ft 5 15⁄16 in) gauge. HOn2 scale 0.102083333 7 mm American HO scale narrow gauge models using 7 mm (0.276 in) track to represent American prototypes, especially those in Maine, with a 2′ track gauge. No known commercial activity. HOf scale 0.102083333 6.5 mm European H0 Scale narrow gauge models using 6.5 mm (0.256 in) (the same as Z scale) track to represent prototypes with gauge between 500 and 650 mm (19.7 and 25.6 in). The “f” represents feldbahn, or forest railway, and these narrower track gauges were frequently used for industrial operations all across Europe. Some of these lines survived until 2000 and even later, particularly in Eastern Europe, where they remained economically viable later than in the west. In 2010 the German company Busch announced a feldbahn line, and followed it with a grubenbahn (mine railway) line in 2012. An innovative track system uses magnets to increase adhesion for tracking and increased engine performance. 3 mm scale 02:41.6 12 and 14.2 mm A UK version of TT introduced by the firm Tri-ang in the late 1950s (then known as “TT-3”) and supported by several other firms offering kits and parts. Commercial production by Tri-ang petered out in the late 1960s, but “The 3 mm Society” was established in 1965 and a dedicated membership has kept this UK scale alive. TT-3 was originally designed to run on TT’s 12 mm (0.472 in) gauge track, but latterly the more accurate gauge of14.125 mm (0.556 in) (popularly known as “14.2”) has been adopted by some seeking more accuracy. Like the intermediate EM gauge standard in 4 mm scale, some modellers in 3 mm scale developed 13.5 mm (0.531 in) track gauge, but this has largely been superseded by 14.2 mm (0.559 in) gauge. Both 3 ft (914 mm) narrow gauge (using 9 mm/​0.354 in gauge track) and 5 ft 3 in (1,600 mm) broad gauge (using 15.75 mm/​0.620 ingauge track) are also modelled in 3 mm scale in the UK. TT scale 0.125 12 mm Name stands for ‘Table Top’. It is quite popular in Europe, particularly in Germany, especially in East Germany (former DDR), has some popularity in countries of former USSR and a small following in the United States. This scale is also used to depict 3 ft 6 in (1,067 mm) narrow gauge railways (using N scale 9 mm/​0.354 in gauge track and known as NZ120) of New Zealand. N scale 0.144444444 9 mm As with 1:160 N scale below, the name is derived from its Nine millimeter track gauge, but the scale is a slightly larger at 2.0625 mm = 1 foot (1 : 147.78). Developed as a UK commercial version of N scale in the late 1960s, models are restricted to depicting UK prototypes. Although nominally to 1:148 scale, some manufacturers took significant liberties with exact scale to suit production limitations. Despite the collapse of Graham Farish and its subsequent sale to Bachmann Industries there is a growing choice of ready-to-run models available. A few commercial kits and parts to fit N scale loco mechanisms and wheels are offered by the UK firm Peco to enable narrow gauge prototypes to be modelled. N scale 0.145833333 9 mm N scale in Japan is normally built to this scale, even though most rail lines are 3 ft 6 in (1,067 mm)gauge. Because the Shinkansen lines are 1,435 mm (4 ft 8 1⁄2 in) (standard gauge), models of these are usually built to the scale of 1:160. 2 mm scale 0.147222222 9.42 mm British finescale standard, older than N scale, being first used as long ago as 1927 with photos and articles published in the model press. 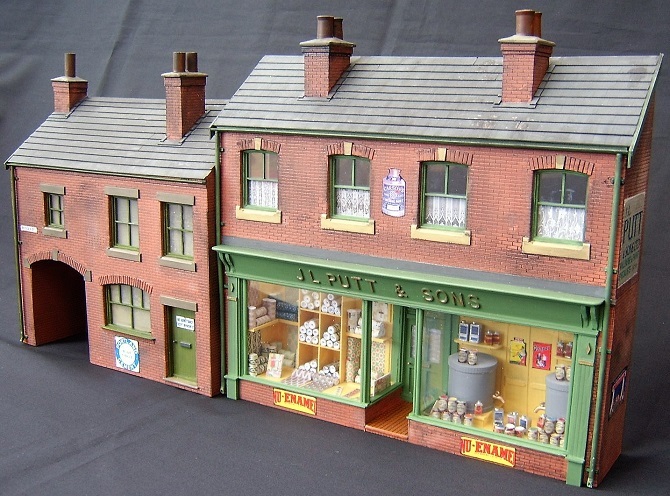 Became more popular in the 1950s, with The 2 mm Scale Association established by 1960 to promote and support modellers in this tiny scale, and it remains very active in the UK to this day. In recent years the finer track and wheel standards of 2 mm scale (but not the gauge) have also been adapted for use in 1:160 N scale (on 9 mm/​0.354 in gauge) in Europe and called “fiNe”, and is supported by the FREMOmodelling organisation. Since the 1950s, incredibly, 2 mm scale has been used to depict narrow gauge prototypes on various track gauges down to 4 mm (0.157 in), but almost everything has to be hand-made, unless some Z scale parts are used. N scale 0.152777778 9 mm Name derived from Nine millimeter; this is the second most popular scale worldwide. N scale developed by the German firm of Arnold Rapido in the early 1960s, and was rapidly adopted worldwide as the most popular small-scale modelling choice. In recent years, finer profile wheels and track have been developed by some manufacturers (although the gauge and standards have remained the same). Huge range of ready-to-run models available as well as supporting kits and parts. With the introduction of an even smaller Z scale in 1972, the modelling of narrower gauge prototypes has been possible using that scale’s locomotive mechanisms, track and wheels. In North America the depiction of 3 ft (914 mm) gauge railroads in N scale using Z scale track is known as “Nn3”; in Europe, metre gauge modelling in N scale is known as “Nm”. Nn3 scale 0.152777778 6.5 mm American N Scale narrow gauge models using 6.5 mm (0.256 in) (the same as Z scale) track to represent American 3′ prototypes, especially the in Colorado, with a 3′ track gauge. 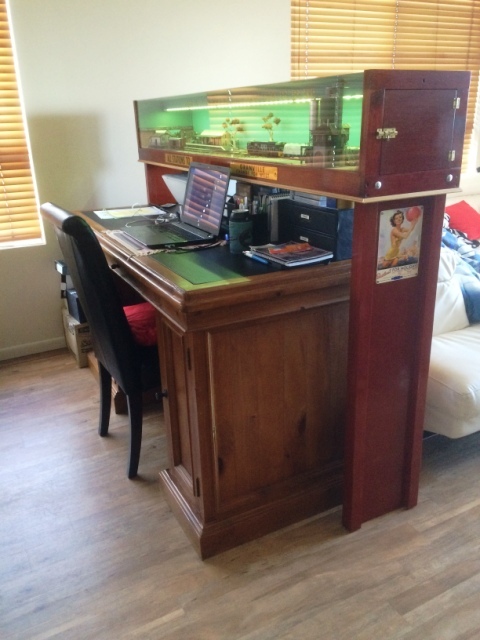 This scale-gauge combination has become popular, and has increased commercial support. Z scale 0.194444444 6.5 mm Until recently the smallest commercially available model railway scale, introduced by the German firm of Märklinin 1972 depicting German and other European prototypes. In North America, Micro Trains and others have introduced a range of US prototype models. On both continents, a growing range of kits and scenic accessories are still becoming available to help increase its popularity. In Europe a few enterprising manufacturers have developed even smaller metre gauge models (but still in 1:220 scale) known as “Zm” on 4.5 mm (0.177 in) gauge track. Japanese manufacturers are increasingly involved in Z scale, with Rokuhan producing what is considered by some the best Z track in the world. ZZ scale 0.25 4.8 mm Introduced by Bandai, ZZ scale was very briefly the smallest commercially available model railway available. As of 2005 only three Shinkansen trains are available and limited other items. The trains are battery-powered and run on plastic rail. Bandai makes no accessories for this scale. T scale 0.354166667 3 mm Announced by Eishindo of Japan in 2006 (and finally released for sale in 2008), T Gauge is the smallest commercially available model railroading scale in the world. Several trains are available, complete with track, as well as many accessories including buildings, people, trees and vehicles. The trains run on metal rails and controlled by a power supply. Because the Shinkansen lines are 1,435 mm (4 ft 8 1⁄2 in) (standard gauge), models of these are usually built to the scale of 1:480.